Last weekend I got to take pictures for my sister and brother in-law as they and friends ran the 10k Cow Town Race. 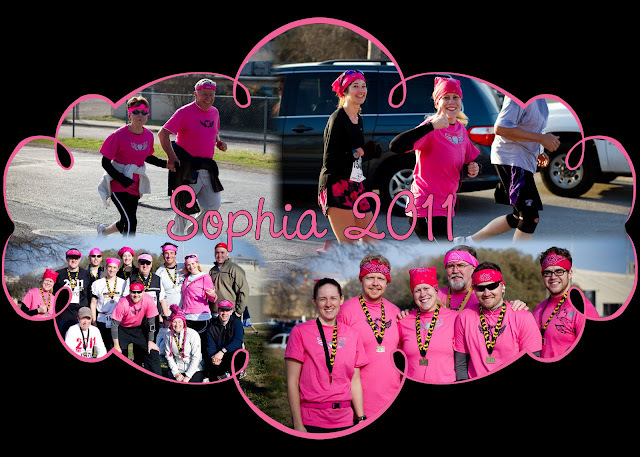 It was in memory of their daughter Sophia. We began early in the morning gathering together at the end of the race. We had a small army running and another one to watch all the children. It wasn't long before the runners came by all dressed in the matching pink shirts and bandanas. All in all it was a nice way to remember a life of our little Sophia.